Creve Coeur general dentists Dr. James Feigenbaum and Dr. Jenna Feigenbaum have been providing total dental care to Creve Coeur, MO for close to three decades. In that time, he’s kept up with all the latest technologies for making dental care comfortable, successful, and efficient. 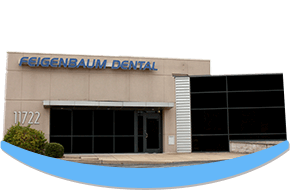 From digital X-rays to Velscope oral cancer detection, Feigenbaum Dental is committed to maintaining dental excellence for you and your family.